Pedestrian Accident Attorneys - Silver & SIlver, P.A. When a pedestrian is hit by the driver of a motor vehicle, serious injuries are a virtual certainty. Without anything to protect them from the oncoming car, the victim’s body absorbs the entire impact. Broken bones, soft tissue injuries and severe skin abrasions are common in pedestrian injury accidents and, sadly, many are fatal. If you or a loved one has been seriously injured in a pedestrian accident, a Boca Raton injury lawyer can help you understand your rights and legal options. 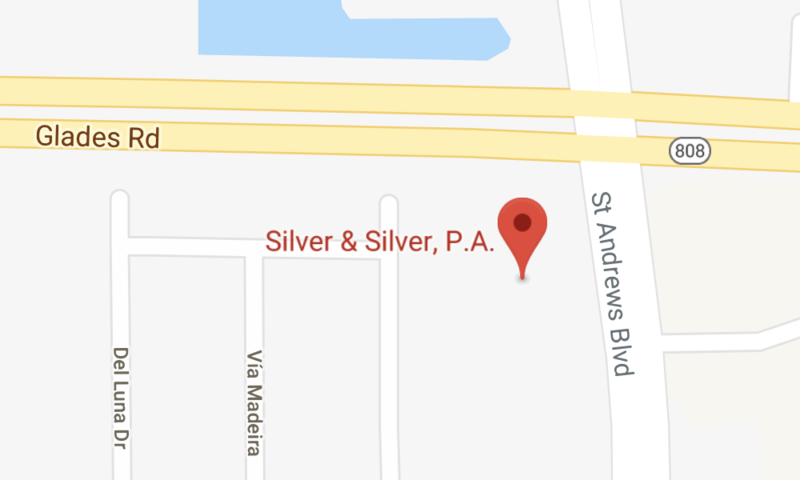 At the law firm of Silver & Silver, P.A., we represent clients throughout South Florida who are suffering due to the negligence of an inattentive driver. Our firm’s complete understanding of cases involving injured pedestrians allows us to be much more proactive in the process of seeking fair compensation for their losses. The majority of the cases we see involve crosswalk accidents involving a driver’s failure to yield the right of way to the pedestrian. Even if you were jaywalking, however, you still may be able to collect damages. When you choose Silver & Silver, P.A., for your pedestrian accident claim, we will conduct a thorough investigation into the case. We will review the accident reports and witness statements. When necessary, we will also visit the accident scene and attempt to find any witnesses that the police did not interview. We follow every avenue in an effort to present the strongest possible case in support of your claim for damages. Contact Silver & Silver, P.A., today to discuss your pedestrian accident claim with an attorney. You can reach us by phone at our principal office in Boca Raton by calling 561-235-3219, toll free at 800-513-8670 or via email to schedule a free initial consultation. We are also available for consultations in Boynton Beach and Wellington.